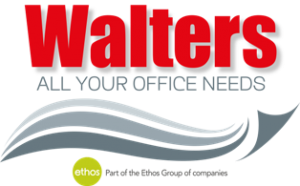 With the three distinct business divisions: Business Supplies, Office Interiors and LED Lighting, Walters offers customers unrivalled expertise and specialist knowledge. Our market presence and years of experience mean that we can best advise customers about products, efficiencies and least-cost options. With the widest range of products and services available we provide a cost effective, seamless procurement solution, vital for today’s fast moving businesses. And with a heritage back to the 1950’s coupled with cutting-edge products and services, we can deliver maximum benefit with minimum impact. Quite simply, we believe it’s our job to make it easier for you to do yours!